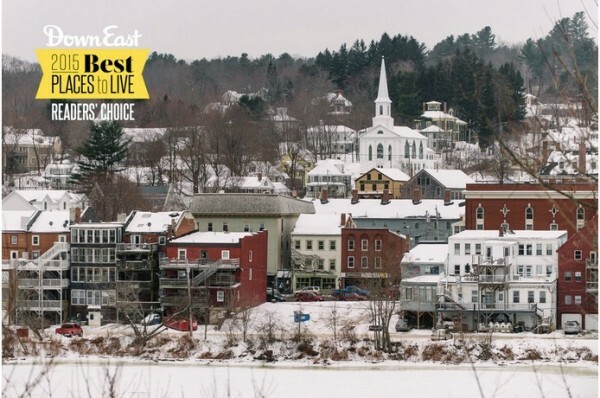 This summer, Hallowell was included in Downeast Magazine's Readers' Choice Picks for best places to live in Maine. Nicknamed the "Little Easy", Hallowell is indeed little--Maine's second smallest official city (population 2,381)--but it has a vibrant restaurant, bar and music scene. Hallowell is an hour's drive straight north from Boothbay Harbor, sitting just shy of the capital city, Augusta, along the Kennebec River. Slate’s Restaurant & Bakery is perhaps the most well-known of the live music venues in Hallowell's downtown. For over 30 years, they have offered live music concerts on Monday evenings. Last summer, Hallowell was also written up by Boston.com in "Five Reasons to Visit Hallowell, Maine". The article talks about the small city's restaurants, shops, architecture, sites and history and gives a number of addresses and other recommendations around which to plan your visit. If you are traveling with bikes, I would also recommend a cycle along the Kennebec River Rail Trail that extends from Augusta’s Memorial Bridge through Hallowell and into Gardiner, about six miles each way in total. There are plans to eventually extend this trail the full length of the original railway line, from the capital to the coast--Augusta to Portland.